Keen baker and coffee connoisseur Sarah Hilleary created B-Tempted to provide amazing treats for those, who like herself, have a gluten intolerance. Aiming to not only satisfy her own refined palate but others too, Sarah started B-Tempted from her home kitchen, working hard to create an incredible range of cakes to rival any gluten based treat. 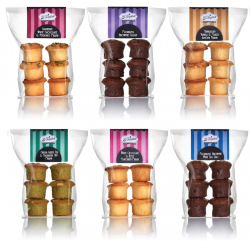 B-Tempted is on a mission to develop amazing tasting gluten free cakes with perfect textures using the finest ingredients such as French butter, Belgian chocolate and free-range eggs. 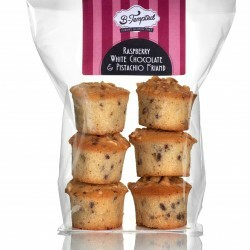 They have developed a range of gluten free, wheat free and suitable for coeliacs brownies and friands and have even supplied members of the British Royal Family for official royal engagements! Their brownies and friands have won multiple golds in the Great Taste Awards, including a Gold Star in the 2017 Awards. The Flourless Brownies also won Gold in the Food Talk Awards in 2017!